Transparent tubes especially for observation! 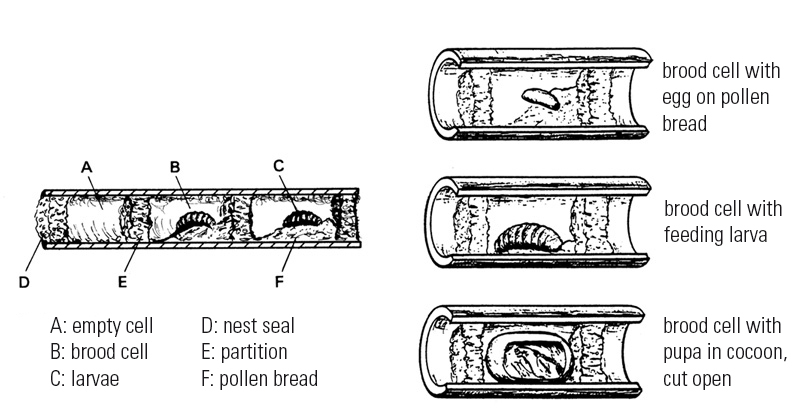 This diagram below shows the structure of a Mason Bee breeding tube. 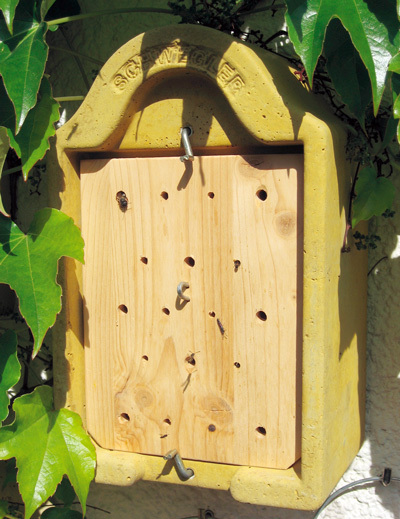 This is intended for the occupants described above (commonly called ­ “Wild Bees”). 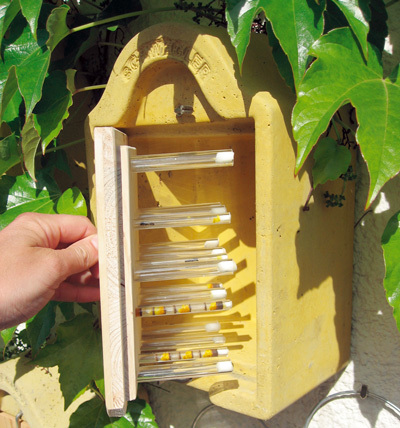 For the first time, it is now possible to study the previously hidden life and development of our solitary Bees and Wasps by lifting out the front panel with its transparent nesting tubes. 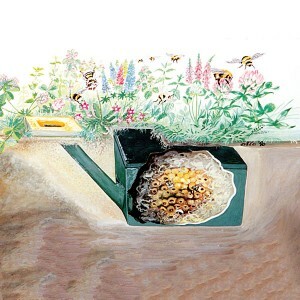 It is possible to watch the cycle from egg-laying to development of the larvae, right up until the time the insect leaves the brood chamber the next season. 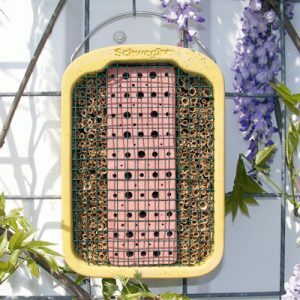 Note that it is essential to properly replace the front panel after each inspection to keep the insects in darkness. Occupants and siting: Please see above. 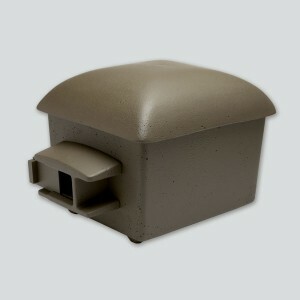 We strongly recommend sunny places for this device! 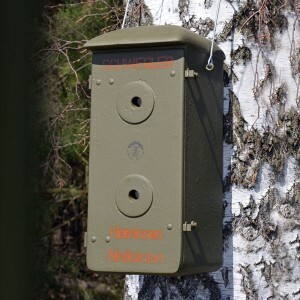 Material: Box: wood-concrete with weatherproof wooden front panel. Interior: transparent nesting tubes of different diameters. Especially for observation! 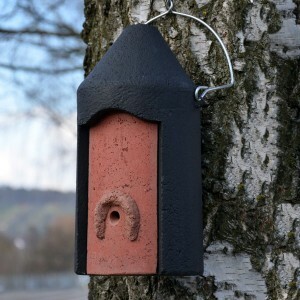 External dimensions: W 21 x H 33 x D 15 cm. 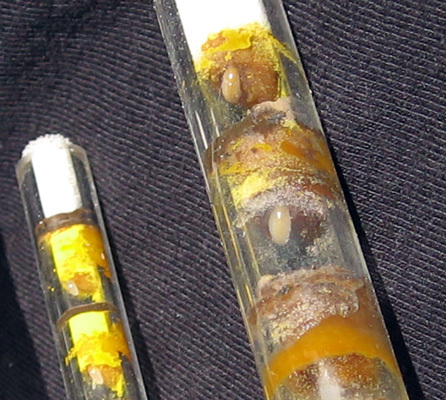 Transparent tubes can be obtained separately as replacements.